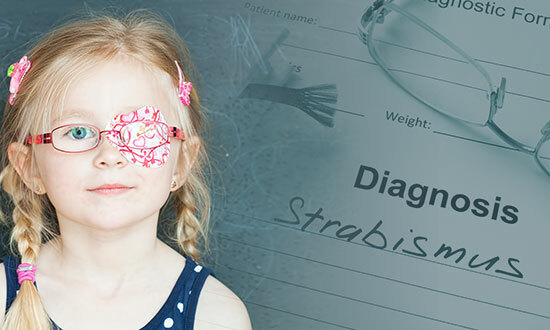 Strabismus is a disorder of the neurological system or an anatomical anomaly which manifest in the misalignment of the eyes. When occurring in a child at an early age, double vision is usually not experienced. Your child’s brain may be able to suppress the vision out of the deviating eye which can also depress the visual development and maturation of that eye’s visual pathway. The deviating eye can be up/down or in/out. If it occurs early in life and for a prolonged period of time it may permanently prevent the development of binocular vision. Binocular vision is when our eyes work together to fuse an image into one and gives us stereovision which accounts for 10% of our depth perception. Stereovision is also what allows us to watch 3D movies. Furthermore, there is sometimes a social stigmata associated with the misalignment that could hinder your child’s social development, maturation and growth. The most important first step is to improve the vision out of the deviating eye. After this has been accomplished, we can discuss surgical management with the aim at realigning both eyes. The surgery is performed at an outpatient facility/ ambulatory surgery center. During the initial visits your child’s deviation will be measured multiple times to ensure consistent numbers. These numbers will help us form the best operative plan for your child’s particular presentation. Your child will be placed under general anesthesia and the muscles of the eyes will be realigned. Immediate subjective improvement can be seen and your child may return to normal activities 3-4 days after surgery although it may take up to 3 months for a full 100% visual recovery and adaptation.